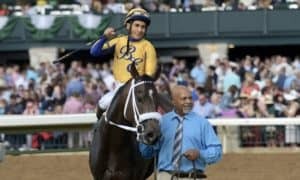 Oaklawn Park is back and better than ever heading into its 2019 race meet. 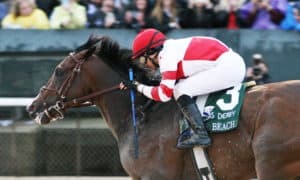 For the first time in many years, the Hot Springs, Arkansas-located track will run all the way into May, closing on Kentucky Derby Day instead of Arkansas Derby Day. The calendar extension means that Oaklawn starts a week later than normal; however, it should be worth the wait. 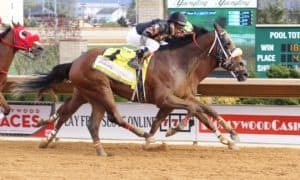 The $150,000 Smarty Jones Stakes kicks things off as the first step towards the Kentucky Derby for the local 3-year-olds. Having drawn a solid field of nine horses, it will be the eighth on the nine-race Opening Day card and has a local post time of 3:52 PM CT. The headliner for this year’s running is Gray Attempt, who recently took home the $75,000 Sugar Bowl stakes at Fair Grounds to round out his 2-year-old season. Locally-raised trainer Jinks Fires is no stranger to success with 3-year-olds at his home track. He won the 2011 Arkansas Derby with Archarcharch and the 2016 Smarty Jones Stakes with Discreetness. This year, his son of Graydar seems to be working very well and Fires was pleased with his most recent morning performance. Oaklawn’s reigning leading trainer, Steve Asmussen, brings his $400,000 Remington Park Springboard Mile winner Long Range Toddy into the race. 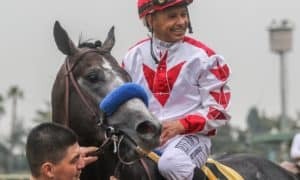 The colt is owned by local Arkansan Willis Horton, himself no stranger to Smarty Jones success, having won it in 2013 with eventual 3-Year-Old Horse of the Year Will Take Charge. While Long Range Toddy may not be to that level just yet, he comes into this race off of three straight victories, all of which came at Remington Park. Asmussen seems thrilled with his progress. Asmussen has two more entries that could make some major noise. The Springboard Mile runner-up Bankit has been training well leading up to his 3-year-old debut. The late-running son of Central Banker won the $250,000 Sleepy Hallow Stakes at Belmont Park before his second-place effort at Remington Park. Asmussen will also send out Boldor, who has never been worse than second in two career starts. After breaking his maiden at Keeneland, he was second in an allowance event at Churchill Downs. The full for the Smarty Jones from the rail out: Long Range Toddy, Sleepy Eyes Todd, Super Steed, Six Shooter, Boldor, Forloveofcountry, Bankit, Gray Attempt, and Jack Van Berg. #8 Gray Attempt – Local trainer Jinks Fires is one of the most popular figures in Hot Springs, where he is no stranger to success at his home track. This year, he brings in a very talented horse in Gary Attempt, who won the $75,000 Sugar Bowl Stakes at Fair Grounds in his last start. That race could turn out to be very productive. Last weekend, the Sugar Bowl second-place finisher Manny Wah came back to finish third in the Grade 3 LeComte Stakes, where the Sugar Bowl third-place runner Hog Creek Hustle was second. That is a very good sign for Gray Attempt, who was a clear winner of the Sugar Bowl. This is the horse that seems to have the most upside in this event, and possibly has the most ability. 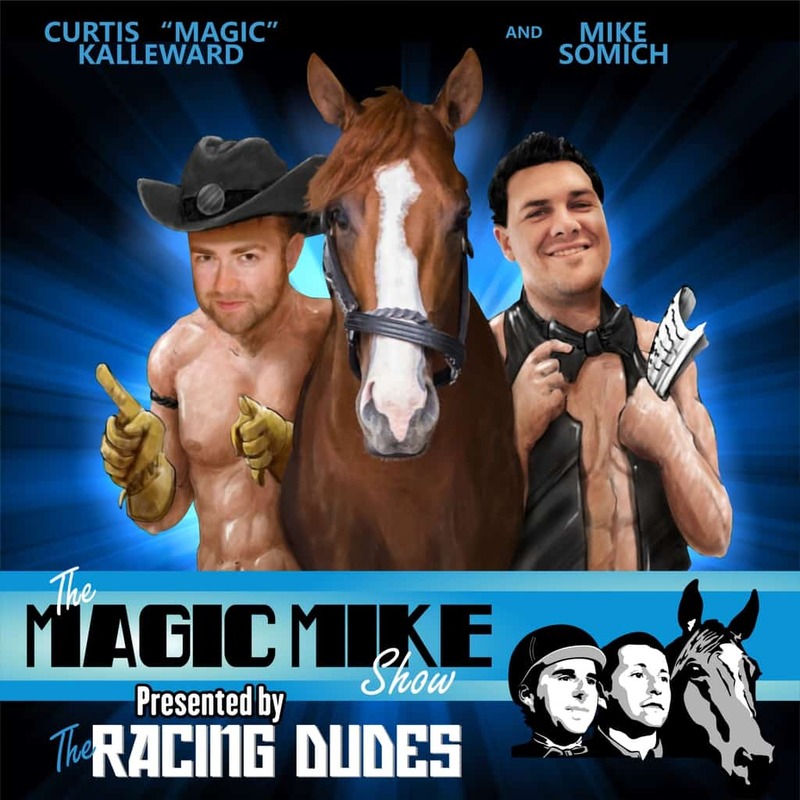 It looks like Fires has another good horse on his hands. 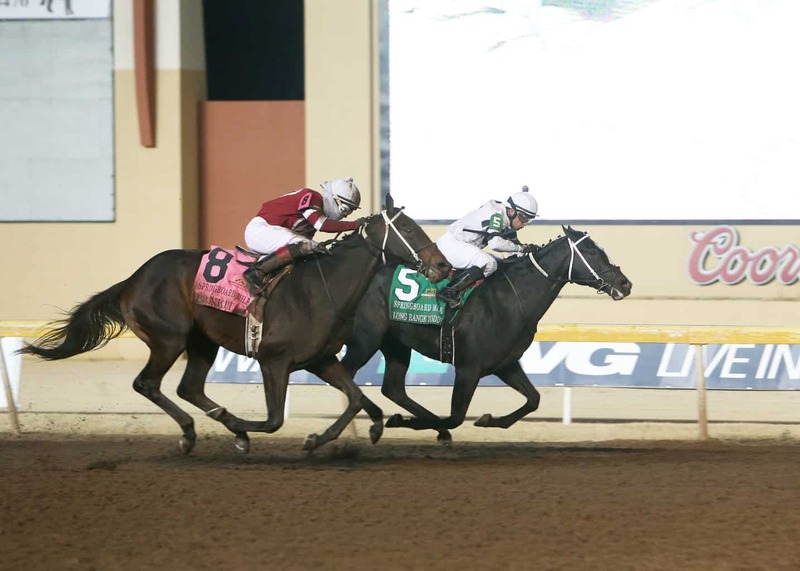 #1 Long Range Toddy – He comes into this race hot after three straight victories at Remington Park. 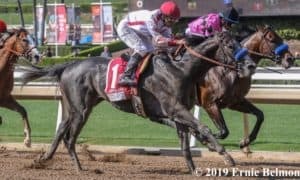 After breaking his maiden, the son of Take Charge Indy won the $100,000 Clever Trevor Stakes, then took home the $400,000 Remington Park Springboard Mile by a head at odds of 18/1. This Willis Horton homebred will likely be a local favorite at Oaklawn all meet long. Horton has owned a couple of Oaklawn favorites in Will Take Charge and Take Charge Brandi, and Long Range Toddy will look to become the next one on that list. He has improved with each start this season and is also training very sharply heading into this contest. #7 Bankit – There is no doubt that his experience could pay off, with six races already under his belt coming into the event. This New York-bred showed tremendous talent when romping in the $250,000 Sleepy Hallow Stakes by nearly 6 lengths, which prompted trainer Steve Asmussen to send him to Remington Park for the Springboard Mile. His late-charing running style hurt him in that race, as he got a little too far behind early before commencing a major rally to finish second. The Smarty Jones could be more of the same, with this race only being a mile and Oaklawn Park having a short stretch when running at this distance. You can bet that he will be a player in this spot, though, where a projected hot pace could really help him. #4 Six Shooter – This horse has been up and down so far while having already made seven starts. After an allowance win at Churchill Downs three races back, Six Shooter tried his luck in the Springboard Mile at Remington Park, but he was a never-threatening 11th. He then dropped down in class for his next start at Delta Downs, where he won the $75,000 Big Drama Stakes. He should be considered a fringe on-the-board-type player, with an outside shot at the big prize. #5 Boldor – It is always dangerous to throw out any Asmussen runner, which is why this horse lands in the exotic plays category. 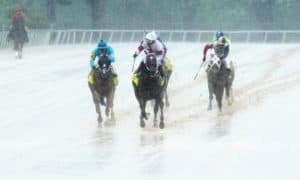 He is definitely the trainer’s third-best colt in the race; however, Asmussen’s horses have a way of outrunning their odds at tracks like Oaklawn Park. With just two starts under his belt, the son of Munnings lacks experience, but he should run well at this flat mile distance. With a little bit of improving, he will have a shot to hit the board at a decent price. 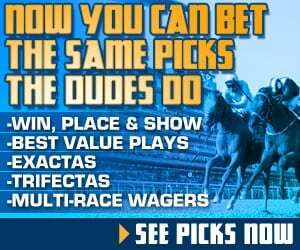 Check out our premium picks to see how we are betting this race! #3 Super Steed – Trainer Larry Jones is back at Oaklawn for the first time in years, he seems to have brough a few decent 3-year-olds to point towards the big stakes races. Super Steed broke his maiden in an allowance event at Churchill Downs two races back, which had everyone buzzing. However, he was a disappointing fourth in the Sugar Bowl last time out at Fair Grounds. 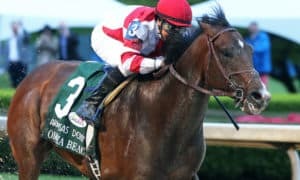 A stretch out in distance should help him, though, and it should also be noted that the second- and third-place finishers in the Sugar Bowl came back to finish second and third in the Grade 3 LeComte Stakes last weekend. #9 Jack Van Berg – This colt, named after legendary trainer Jack Van Berg and trained by Jack’s son, Tom, could be the big feel-good story of the meet. Winning his debut from Tom’s barn in a maiden special weight at Churchill Downs, he then finished fifth in an allowance race most recently. 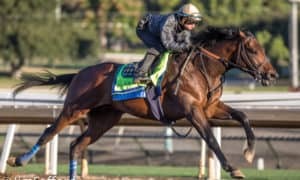 He will stretch out in distance for the first time here, and his pedigree suggests that he should improve when running longer. That gives him an outside shot against this group. #6 Forloveofcountry – After three straight races on the turf, Forloveofcountry moved back to the dirt last time out and won an allowance race at Churchill Downs at odds of 29/1. He is likely to be a big price again here and will need to prove that his last effort wasn’t a fluke. #2 Sleepy Eyes Todd – This debut winner at Remington Park will try to go straight from a one-turn maiden special weight score to a Kentucky Derby prep race. From a numbers standpoint, he must improve dramatically. He has a lot of proving to do in this spot.